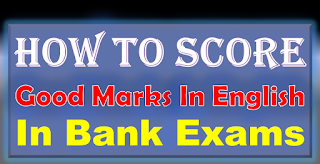 How to Score Good Marks in English in Bank Exams: HI Viewers are you preparing for the IBPS Clerk, PO and SBI Clerk, PO Exams. 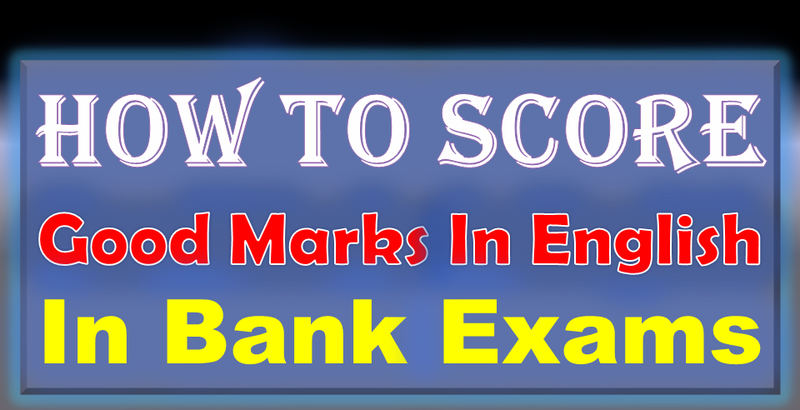 Here we give some important tips for How to Score Good Marks in English in Bank Exams. All Banking Exams English is the main importance subject. Total 40 questions are asked from this English Topic. Everyone should get maximum 25-30 marks from this General English Topic with follow simple tricks. Who are preparing for bank clerk exams everyone must know the syllabus of the English subject. From which topic maximum number of questions are asked in the common written examinations. And how much time we are allocated for this English Section. Below this article given information about English preparation plan strategy it will helps to your preparation for IBPS Clerk Exam 2017. The Maximum Number of questions is asked in the Reading Comprehension, Close Test and Fill in the Blanks from these three sections 70 % of the questions asked in the competitive examination. But maximum number of competitive exam coaching centers are learn only English Grammar part like as Synonyms and antonyms, one word substations, and some miscellaneous questions only. But everyone must know about the Vocabulary is the best scoring in All Bank Exams.